Geographic Information Systems, or GIS software, allows people to view, understand, question, interpret, and visualize the world in ways that reveal relationships, patterns, and trends in the form of maps, globes, reports, and charts. The president of a company in Florida, for example, can use the software to predict how much risk the company’s building and employees face if a hurricane approaches. Woodstock concert organizers in Poland use it to provide their attendees with interactive maps to and at the venue. Leaders in all sectors of government and across many industries use it for a variety of purposes. Faculty in BYU’s Department of Geography use it as one of a variety of classroom and research tools. 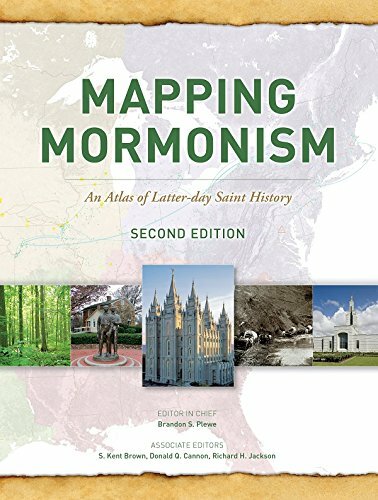 Geographers study human migration, the role of gender in state security, sacred places, conflicts between public and private forces in public lands, human/environment interactions, climate change, transportation networks, population change, water resources along the Wasatch Front, and many other themes. How often do you use mapping or navigational tools? Which do you prefer? This post was provided by Dr. Ryan Jensen, chair of the BYU Geography Department. Dr. Jensen has a BS in cartography and geographic information systems, as well an MS in geography, both from BYU, and a PhD in geography from the University of Florida. He has been a geography professor at BYU since 2005. He was served as an editorial board member of Applied Geography since 2008, and as co-editor of of the Earth Observation Section of Geography Compass since 2007. He has published over 50 peer-reviewed journal articles and authored or co-authored eight books.